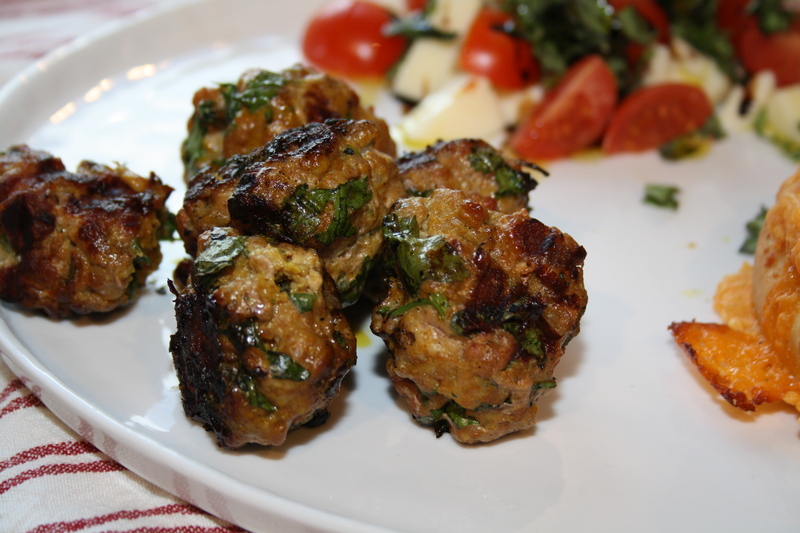 I’ve made these meatballs several times since my first go at it. 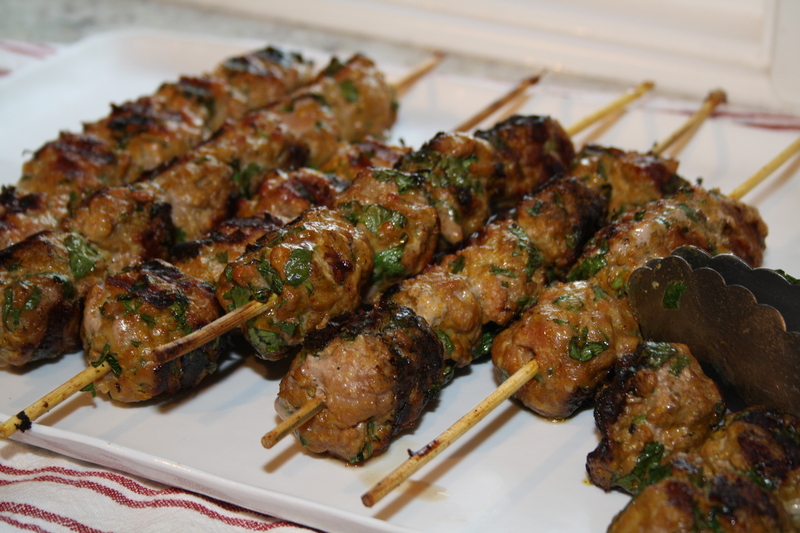 It helps, of course, if you like curry, and pork, and cilantro – seeing as those are the only ingredients – so if you have no strong aversion to any of those three things I highly recommend you give these a whirl. 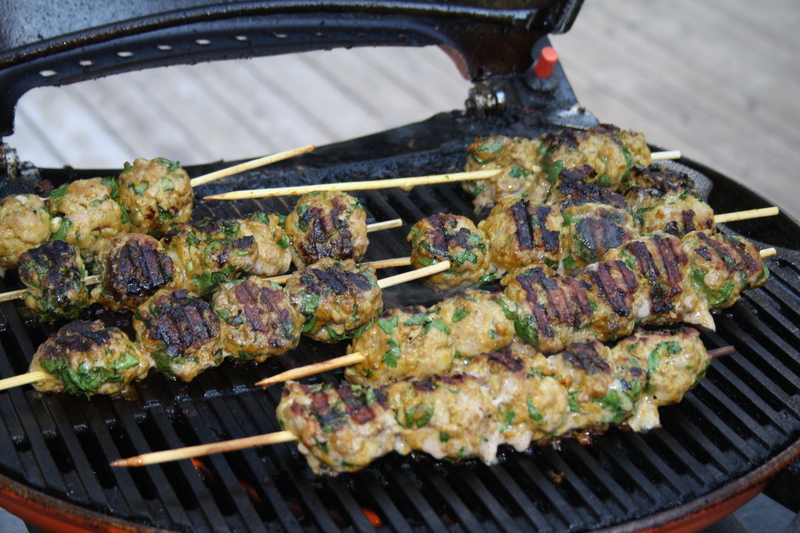 The pork on the barbecue gets so juicy and flavourful. 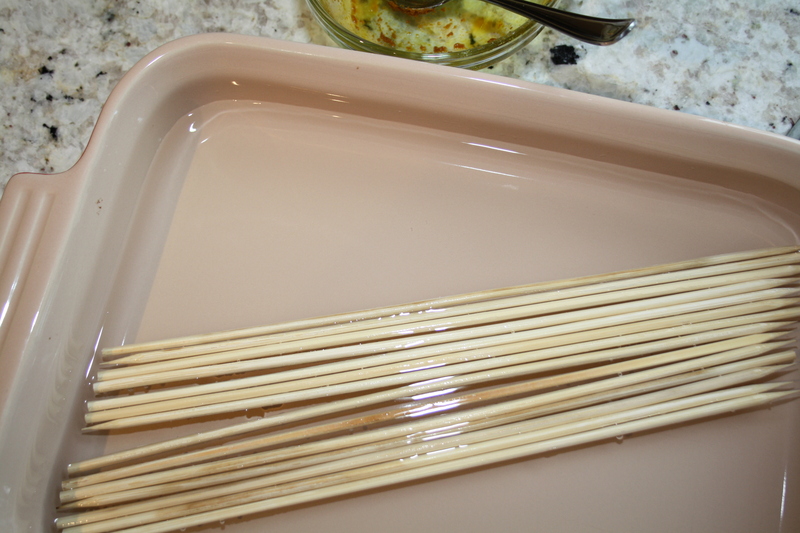 It’s smoky and fragrant from the curry paste. It’s so very good. I doubled this recipe one night, because I wanted lots of leftovers. A salad makes the perfect accompaniment, or anything in season really. Corn on the cob would be lovely. 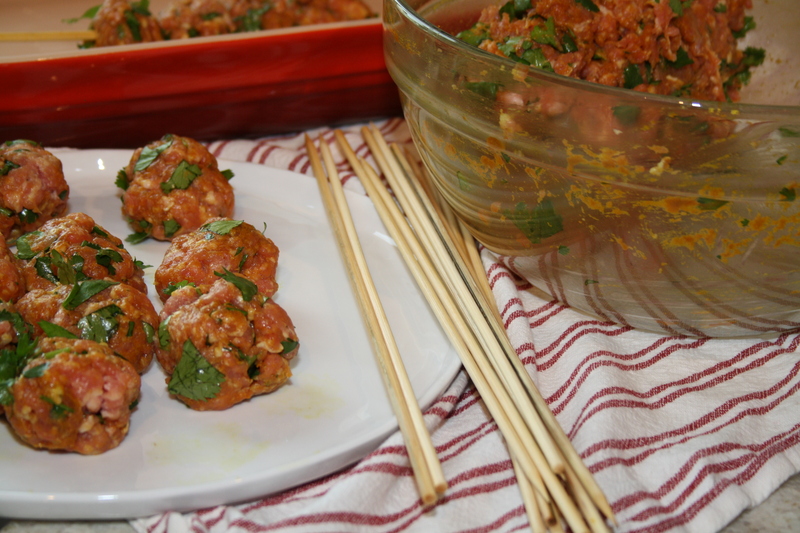 Curried Pork Meatballs make excellent leftovers, and were perfect at room temperature one day I didn’t feel like heating them up. 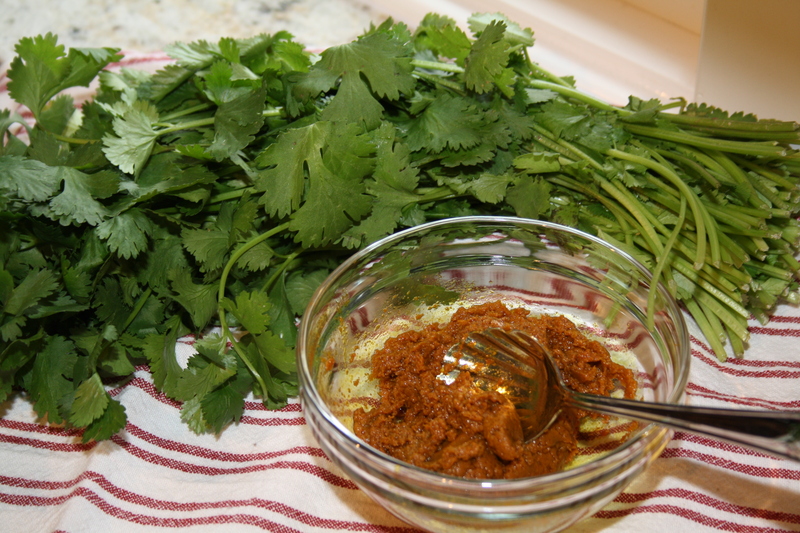 And if you’re up for making your own curry paste, do it! Share the recipe! 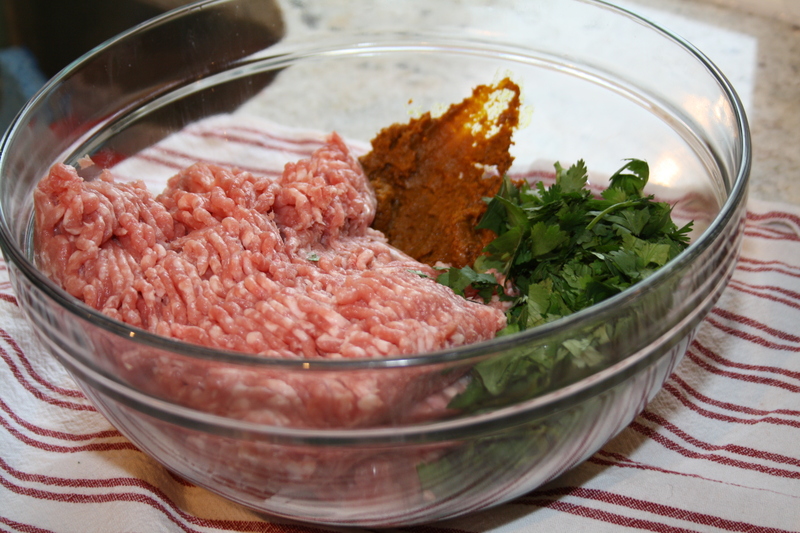 Stir the pork, cilantro, and curry paste together in a large bowl. 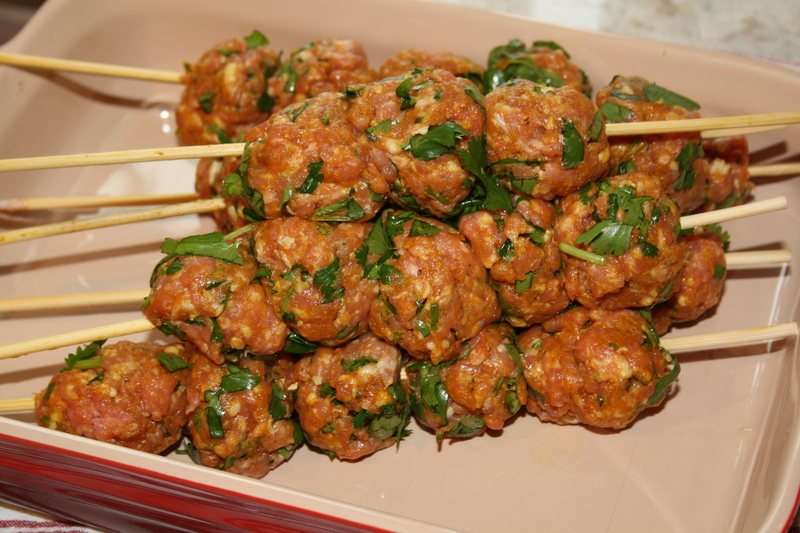 Shape into 16 meatballs, then thread onto skewers. Grill over medium-high heat, turning a few times, until cooked through, about 12 minutes.